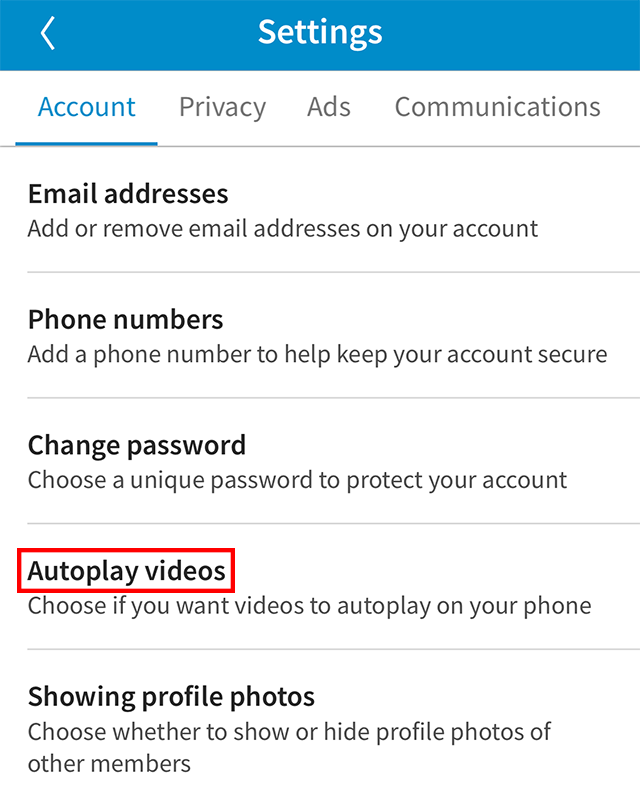 Did you know that you can stop videos from automatically playing as you browse your feed in the LinkedIn mobile application? Our guide will show you how. Note: These screenshots were captured in the LinkedIn app on iOS. 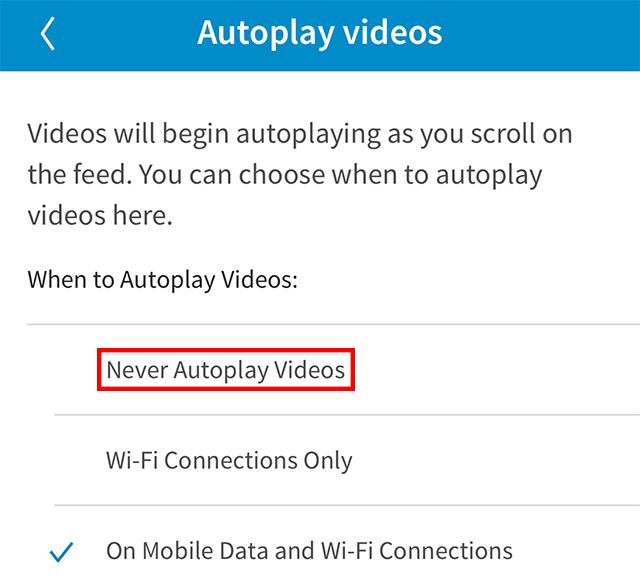 Step 4: Tap “Never Autoplay Videos” to stop videos from automatically playing as you scroll through your LinkedIn feed. Alternatively, you can tap “Wi-Fi Connections Only” to prevent videos from automatically playing unless you’re connected to WiFi.